Lamborghini first became a real volume manufacturer with the Gallardo, which enjoyed a decade of production. More Gallardos were built than all previous Lamborghini models combined. The Huracán, released in 2014, replaced the all-important Gallardo as Lambo’s current “entry-level” supercar, and is again powered by a howling V10 that sits behind the driver and sends power to all four wheels. Although it’s still a fairly new model, for 2016 the Huracán range brings a number of changes, including an open-top Spyder version, cylinder deactivation for added fuel efficiency, a sports exhaust system, LED lighting for the engine compartment, and a number of new interior features. The all-wheel-drive (AWD) system has also been reworked for a supposedly improved, more neutral feel compared to the 2015 model. Underneath the razor-sharp bodywork and usually outrageous paint color, the Huracán sits on Lamborghini’s Modular Sportscar System (MSS) platform (which has actually been borrowed by parent company Audi for the upcoming R8), and is powered by a 5.2-liter V10 coupled to a 7-speed dual clutch gearbox. That engine is a reworked version of the powerplant used in the Gallardo, now a rev-happy and responsive motor that makes 601 hp and 413 lb-ft of torque. Going from 0-60 mph takes 3.2 seconds and top speed is a hair over 200 mph. Power goes to all four wheels via an electronically controlled center differential, which can distribute up to 50% of the engine’s power to the front wheels for certain situations, but typically puts 70% to the rear. Certain enthusiasts lament the surefootedness of an AWD supercar like the Huracán and long for the lunacy and sense of danger that came with driving a Lamborghini of old. Commendably, Lamborghini has kept these people happy with rear-wheel drive (RWD) versions of their cars, including a RWD Huracán. Called the LP 580-2, it’s not exactly a stripped-down purist’s car, but simple a RWD version of the standard version (which is called the LP-610-4). It has a slightly de-tuned motor, with 571 hp, and everything from the suspension to the onboard computers and traction control has been tweaked to suit the altered drivetrain. It’s a tiny bit slower than the standard Huracán, but likely a lot more rewarding to drive fast and more fun to take around corners. It’s also a bit cheaper than the LP 610-4. In the interest of fuel economy, all versions of the current Huracán get cylinder deactivation technology that shuts down one bank of five cylinders during more relaxed driving situations. Regardless of that feature, however, a high-performance car with 10 cylinders is thirsty and runs on premium fuel, so don’t expect big savings at the pump. Steering in the Huracán is by a dynamic-ratio electronically assisted power steering system, while suspension features magnetorheological dampers that adjust their stiffness very rapidly thanks in part to numerous onboard computers and gyroscopes. Three driving modes are selectable from the cockpit: Strada (street), and Sport mode are more for everyday driving, while Corsa (race) mode is reserved for track days. The Huracán has already been praised for being surprisingly driveable, a car that keeps up with the current crop of supercars while theoretically remaining something you can drive every day. Like many of the Lamborghinis that have come out in recent years, the Huracán has a clearly aerospace-inspired cockpit with purposeful-looking, almost intimidating switchgear. There are some creature comforts, but overall it is a driving- and driver-centric interior. The 2016 model adds several color and trim options for the interior to better compliment the wide range of mostly wild available exterior colors, with other new elements including matte black air vents, additional leather trim, available cruise control, and a 10-speaker Sensonum 390-watt sound system--and Lamborghini’s Ad Personam customization program offers even more choices. Ergonomically, the Huracán is certainly an improvement to anyone familiar with Lamborghinis of the pre-Audi days, but rear visibility is still an issue due to the car’s standard louvered engine cover. That engine cover can now be ordered as a transparent piece, though, so now at least you’ll be able to look in the rear-view mirror and actually see something. You might not know exactly what it is, but at least you’ll know something is there. With a base price of almost a quarter of a million dollars, the Huracán is always going to be an exclusive car, even if it does sit at the bottom of the Lamborghini range, below the 12-cylinder Aventador. That said, it will continue the role began by the Gallardo, filling out Lamborghini’s sales sheets as the closest thing to a mass-market automobile the Italian automaker has, at least until the Urus SUV arrives. The Gallardo was around for 10 years and spawned an almost dizzying number of trims and special editions, so even though there aren’t extensive changes in store for the 2016 Huracán, it’s only been around for a couple of years and we can expect to see Lamborghini getting a lot more creative with it in the near future. 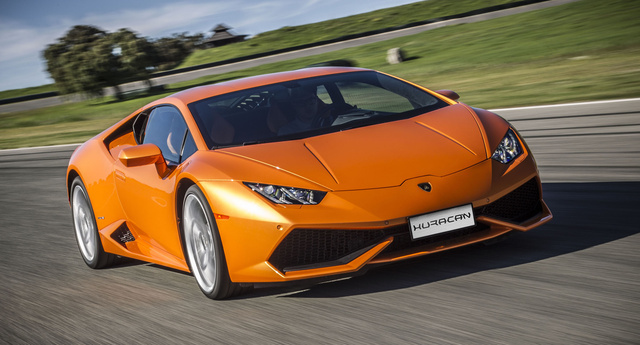 What's your take on the 2016 Lamborghini Huracan? Users ranked 2016 Lamborghini Huracan against other cars which they drove/owned. Each ranking was based on 9 categories. Here is the summary of top rankings. 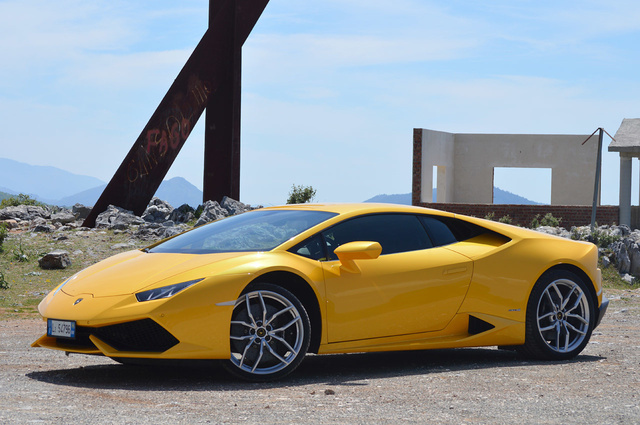 Have you driven a 2016 Lamborghini Huracan?